I graduated from graduate school in August 2015 with about $200k in student loans from undergrad and grad school. My private loans went into repayment on November 2nd, 2015 and my private loans in March 2016. My debt free journey has been going on for three years now. I truly can’t believe it’s already been three years and I think it’s super important to reflect on my last three years of repayment to see ways I can improve my current plan. Sacrifices. As a twenty something who recently graduated from grad school, the first thing I always wanted to do was rent my first apartment and start my teaching career. However, I knew that wasn’t the best choice for my current financial situation. Instead I found a teaching job 20 minutes from my parents house and moved back in with them. This was the biggest way I have been able to pay off so much in three years. Budgeting. These past three years I have really cracked down on my budget and tried to be very strict with it. This has helped me immensely to pay down my debt. Side Income. This was huge for me in the last three years. Throughout the year I managed to add 4 different streams of side income through 2 different after school programs, private tutoring, and babysitting. At this point, I can completely cover my monthly expenses through my side income with some left over, my entire salary and some of my side income go straight to my loans. Find out how I make on average $1,200 per month in side income. Debt Payoff Strategies. Since I have such high interest rates, I chose the avalanche method. This allowed me to focus on my highest interest, largest accounts first and then apply that payment to my next account. This continues until all accounts are paid off. This worked out wonderfully for me. Now that I refinanced my private loans and have a lower rate than my federal, I actually changed my debt payoff strategy to focus on the highest monthly payment. This allows me to still focus on my private loans and will allow me to move out on my own sooner. To figure out the best strategies, I always put my debts into undebt.it to figure out the best strategy. Refinanced my Private Loans. Refinancing is definitely not for everyone, but it definitely can save you a lot of money in interest, if done correctly. If you’re curious if refinancing is for you, check out my post to help you decide! I refinanced my loans with Earnest and got a lower interest rate and shortened the life of my loan. This resulted in my monthly payment increasing slightly, but in the long run, I will save money on interest. If you use my referral link from Earnest, you’ll get $200 when you refinance. Selling Items. Recently I have started purging my belongings that I don’t use anymore, like clothes and purses. It is crazy how much stuff we accumulate and don’t even realize it. In the next year I am planning to get more serious about selling my items I don’t use anymore to apply that money to my debt. Side Income. In the last year I have added many new students to tutor, it is now getting hard to schedule new clients because my schedule is so booked. I’m now going to focus more on creating income streams from my computer. I plan to find new ways to make money from home, since I have reached my maximum amount of babysitting and tutoring I can realistically schedule. I’m very proud of myself for being able to make my money work for me and pay off so much of my student loans in three years of repayment. My goal was to finish paying off these loans by my 31st birthday, which would be April 29th, 2023, since I have clearly met that goal, my new goal is do everything I can to pay these off before my 29th birthday, which is April 29th, 2021. I’m so excited to improve my strategy and plan to pay off even more in the next year to pay off my debt even earlier! 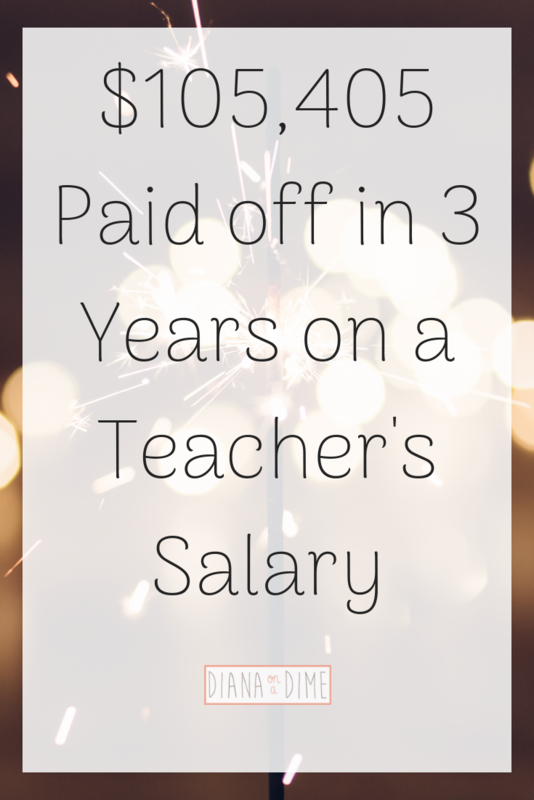 How much were you able to pay off in three years of repayment? What was your strategy?